You are purchasing a wholesale lot of brand new name brand children/BOYS Character pajamas. This lot contains 15 two or three piece sets, 6 tops and 6 bottoms, totals more than 45 total individual pieces. The lot is a mixture of Lego, Marvel Minion and more. 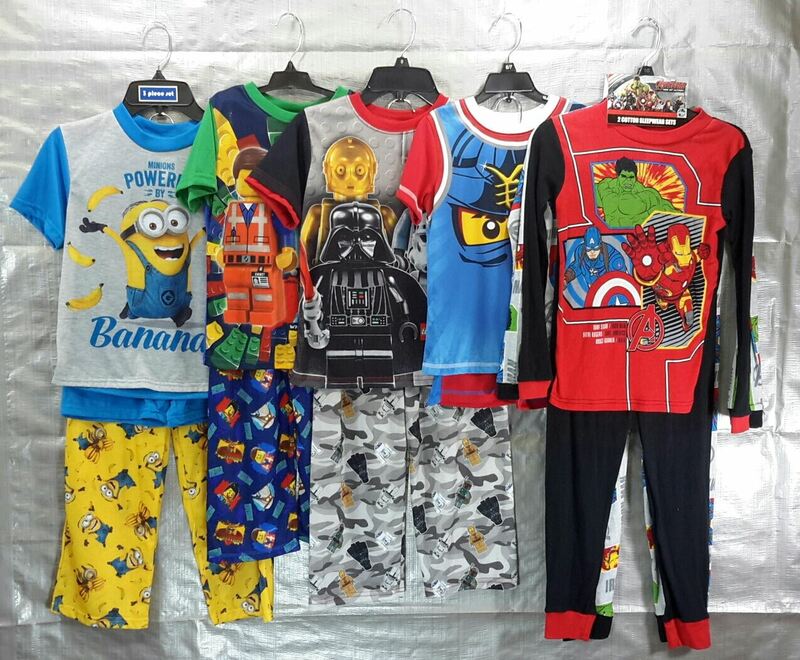 Click the button below to add the Wholesale Lot Brand New Children's Clothing BOY Character Pajama Sets & Separates to your wish list.